By 01 Decem­ber of this year, 1,780 exhibitors from 41 coun­tries had reg­is­tered for the upcom­ing EMO Han­nover 2019. Any­one can view the online list of exhibitors at www.emo-hannover.de. 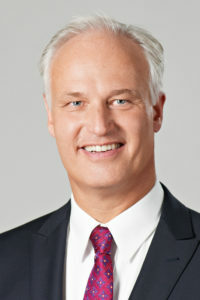 “We are delight­ed with the fan­tas­tic response that EMO Han­nover, the world’s lead­ing trade fair for met­al­work­ing, has again received from all sides,” says EMO Gen­er­al Com­mis­sion­er Carl-Mar­tin Wel­ck­er. “The exhibitor direc­to­ry shows a clear plus in com­par­i­son to the last EMO and already reads like a who’s who of the inter­na­tion­al machine tool indus­try”, he con­tin­ues. Mar­ket lead­ers in all tech­nol­o­gy sec­tors, such as DMG Mori, FFG, Mazak, Siemens, Grob, Doosan, Fanuc, Oku­ma, Maki­no, Index, GF Machin­ing Solu­tions, Chi­ron, Trumpf, SLM, Strata­sys, Paul Horn, Iscar, Sand­vik, Kuka and many, many more, will be present. New com­pa­nies are added dai­ly. Com­mis­sion­er Wel­ck­er: “It’s also good to see that many exhibitors have increased their stand space and are now even more rep­re­sen­ta­tive than last time”. EMO Han­nover 2019 will take place from 16 to 21 Sep­tem­ber under the mot­to Smart tech­nolo­gies dri­ving tomorrow’s pro­duc­tion! A new exhi­bi­tion area IoT in pro­duc­tion under­scores its claim to posi­tion itself as a plat­form for net­work­ing in pro­duc­tion. 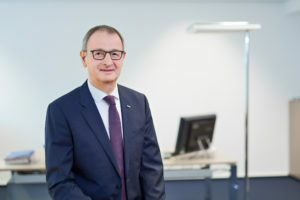 Dr. Wil­fried Schäfer, Man­ag­ing Direc­tor of EMO organ­is­er VDW (Ger­man Machine Tool Builders’ Asso­ci­a­tion), explains: “IoT in pro­duc­tion pro­vides a com­plete overview of the cen­tral aspects of net­work­ing, includ­ing data secu­ri­ty, data analy­sis, process mon­i­tor­ing, pre­dic­tive main­te­nance, smart data man­age­ment and much more”. EMO Han­nover 2019 there­fore promis­es to be par­tic­u­lar­ly excit­ing. This is also attrac­tive for the mem­bers of the Club of Met­al­work­ing who want to come to EMO. The VDW found­ed this net­work for inter­na­tion­al experts in pro­duc­tion tech­nol­o­gy in May of this year. “The advan­tages of a mem­ber­ship are being exploit­ed for the first time at EMO Han­nover,” says Schäfer. It is free of charge and offers attrac­tive ser­vices. Every mem­ber, from skilled work­er to man­ag­ing direc­tor, is wel­come — in addi­tion to admis­sion tick­ets, there is an online forum, free pub­lic trans­port tick­ets for vis­it­ing the trade fair, a newslet­ter and a lounge for club mem­bers. Inter­est­ed par­ties can reg­is­ter online at www.clubofmetalworking.de.